The simplest to use and highest rated recorder app available. Transcribe your audio files into text documents. Supports more then 60 languages. Choose your favorite document format. Create a free account and get $20 credit. So many ways of sharing your files. 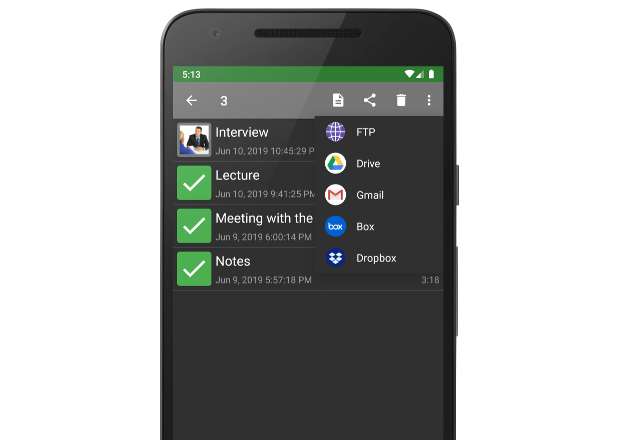 Email, Dropbox, Box, Google Drive, FTP, and many more. Now you can choose and switch between light or dark color themes. Starting with the 1.6 (Donut) version of Android and on, we have you covered. We show you only what you need. Thumb friendly. Intuitive layout built for phones and tablets. Perfect for recording long lectures or speeches at school. Use it to record anything, including personal notes, work meetings, music, ideas...ANYTHING! Right now, my clear winner is Dictadroid. It's cheap, easy-to-use, and has a variety, not just one proprietary, of methods for sharing the dictation file. Revolutionary and very simple to use with all the insert and overwrite facility you need. All 3 directors use it. Highly recommended. 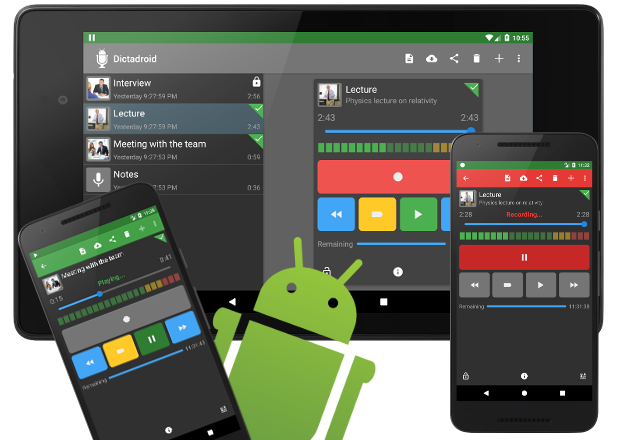 Dictadroid is my favorite voice-recording app for Android... Dictadroid has an easy-to-use interface that allows you to pause, forward, skip back and save digital recordings. 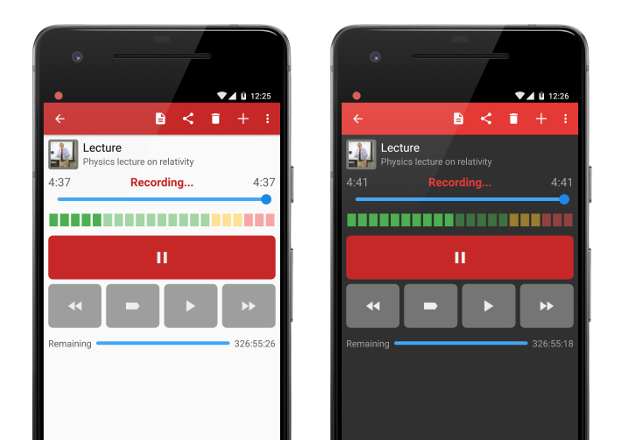 Another power-packed feature is the ability to insert speech where you missed some the first time without recording over the original portion. 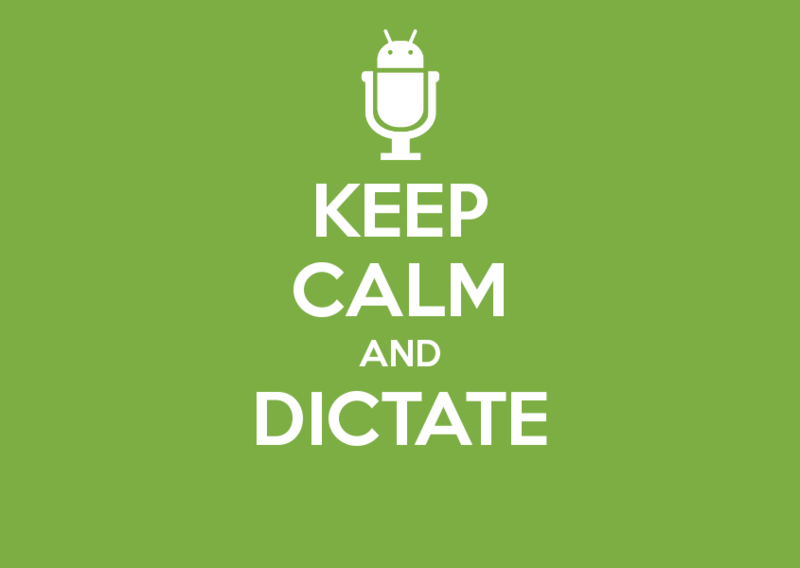 Fantastic Dictation System! I Dictate complex medical reports to be transmitted to a Transcriptionist. This app works much better than Digital recording systems costing Hundreds of Dollars. The customer service is excellent.